With summer temperatures often exceeding 120 degrees Fahrenheit, it shouldn’t be a surprise that Death Valley National Park is a popular winter destination. 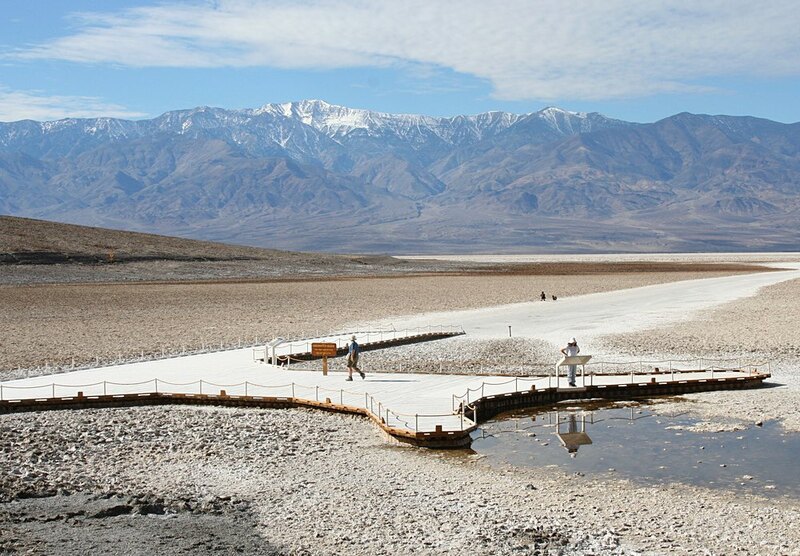 While winter in Death Valley can be very pleasant, it can also have some extreme weather that can limit your park experience. This guide will help you get the most out of your winter excursion to Death Valley. Frequent Death Valley travelers have told me that November and December are usually the best months to visit the park. While January and February can also be nice, these months have in recent years had more large storm systems that close much of the park. Spring wildflowers can be spectacular and you are most likely to experience them from March to May depending on the amount of precipitation for the year and the elevation you are currently at. What you are able to see and do in Death Valley depends on two important factors: the weather prior to and during your trip, and what kind of vehicle you are driving. The main roads into and around the park headquarters at Furnace Creek are generally open year round and are easy to access. While most people recognize Death Valley as the “lowest spot in America”, the bigger picture is that this is a very large park with very extreme changes in elevation. The majority of the roads in the park are not paved and many of the dirt roads climb to very high elevations. These higher roads are often under snow and closed and even the lower-elevation dirt roads can be closed due to water damage after winter storms. Death Valley’s attractions can be grouped into 2 parts: the main attractions that are located at, or near to, the park headquarters at Furnace Creek, and the remote attractions that are often accessed on dirt roads or four wheel drive roads. Furnace Creek area – the easily accessible attractions for all vehicle types. Sunset Campground is just a large gravel lot that can accommodate any size RV or camper but is the least desirable campground at Furnace Creek. Texas Spring is the nicest of these campgrounds but is only for tents and small campers, fills fast, and doesn’t take reservations. Furnace Creek Campground does take reservations and has fire pits and enough vegetation to offer some privacy at your campsite. Important! If you are showing up on a weekend that you think might be busy (holiday etc), either make a reservation in advance of your trip or show up as early as possible and secure a campsite. National park campgrounds can fill completely on weekends and you may get turned away. Death Valley has a lot of historical points of interest and natural wonders – most of which are in remote locations that are accessible only by dirt road. Many of these roads reach high elevations and are often closed due to snow. You can check current road conditions by going to the DVNP website and clicking the “Morning Report” link. While some of the dirt roads do not require a four-wheel drive, it is important to note that these roads can be very rough with long stretches of washboard, which can be very hard on a vehicle. If you want to explore the backcountry, it is advisable that your vehicle has high clearance and that you aren’t worried about potential scratches, dents, or other minor damage. You should also be comfortable changing a flat tire. Bring lots of water and extra clothing suitable for freezing temperatures. I recommend going to the NPS website and using that to check road conditions and to plan your trip into Death Valley’s backcountry. As for camping in the parks more remote areas, the only RV campground is at Stovepipe Wells. This is just another big gravel lot but the resort has many amenities – a store, restaurant, gas etc. There are other campgrounds in Death Valley’s outback but they are smaller, often closed due to weather, and often full. 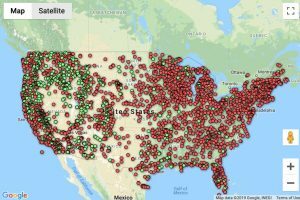 Take a look at the NPS website for more info on these smaller campgrounds. Death Valley can be a great place to visit in the winter. Plan, be prepared, and stay safe!